History offers some incredibly valuable insight to investors. For investors with a true value orientation, history is even more valuable. As we await for the "double-dip" market decline or run away inflation, spend some time examining the early 1970's. There are valuable lessons there. For example, during the vicious bear market of 1973-74, the many members of the Nifty Fifty -- the blue-chip stocks of the day -- were trading with P/E ratios of 2-3x, some even lower. Investors who missed that opportunity out of fear decided to wait until the next bear gave them similar valuations. In investing, fear is an emotion that many investors let take over because they simply fail have conviction in their data and analytical reasoning. Those fearful investors back in the early 1970's are still waiting today for those valuations to come back down to where they were in 1974. While current valuations are far above anything during 1974 -- or March 2009, for that matter -- the point is that investors waiting to bottom fish are often left waiting and waiting. While the market may have dropped 10%, many stocks significantly underperformed it. The mood seems grim today, and market sentiment seems to be looking down rather than up. So, instead of timing the market, I prefer to price stocks. With no more government stimulus money fueling consumption and housing sales, growth will inevitably slow in the second half of 2010. It's just hard to see how the private sector can pick up the slack that quickly. This could very likely cause greater downward pressure on equity prices. I'm not suggesting that this is the time aggressively shift from cash into equities. I never think about market timing but think about individual businesses and scenarios as to how those businesses will do in various economic conditions. From there, the idea is to compare the current price with future value of the company, the probability of that future value, and from there, determine if a margin of safety exists. I also know from history that the fiscal and monetary situation for the US is extremely different today than it was back in 1974. But just in the same way that businesses like AutoZone delivered a 14% annualized return during the lost decade of 2000-2009, there are companies today with the business and quality management that will likely do well this decade. 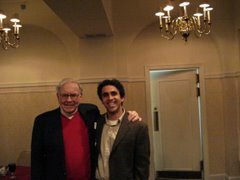 The beginning of 2009 may turn out to be one of the few opportunities in this lifetime to have allocated 100% to equities (I remember Buffett remarking in 2009 that if he could, he would have put his entire net worth into Wells Fargo - WFC was trading at $9 at the time), this is certainly not the time to be 100% in cash because of the likelihood of another market collapse. At some point the market will pull back - it always does. Value the business and its competitive position in the marketplace. If the price is right, then don't hesitate to follow your convictions.